This stunning award measures 170mm high. 3D resin imitation 5kg weight and hand award, gold in detail. 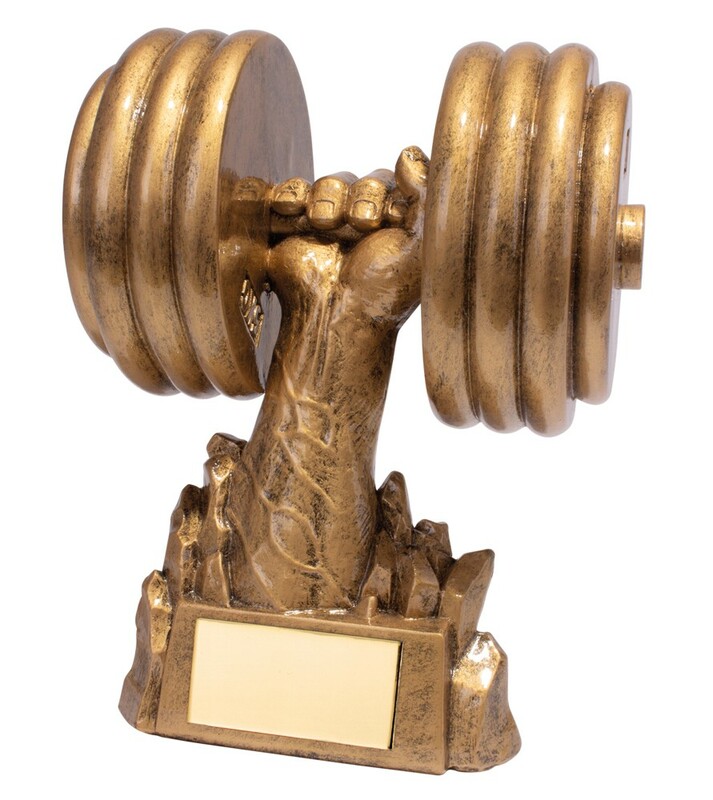 A great solid resin weightlifting award.